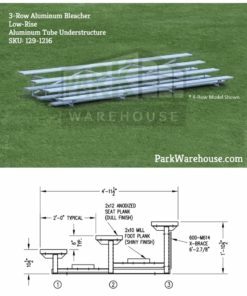 Stabilizer Bar included with every unit! 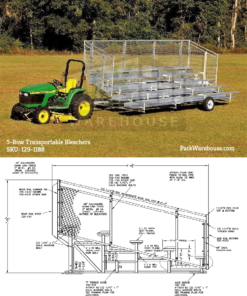 James from Hagerstown, Scott from Tucson & 27 others bought this item recently. Our popular wheeled bleacher that you can easily tip on the side and roll away for placement or storage. 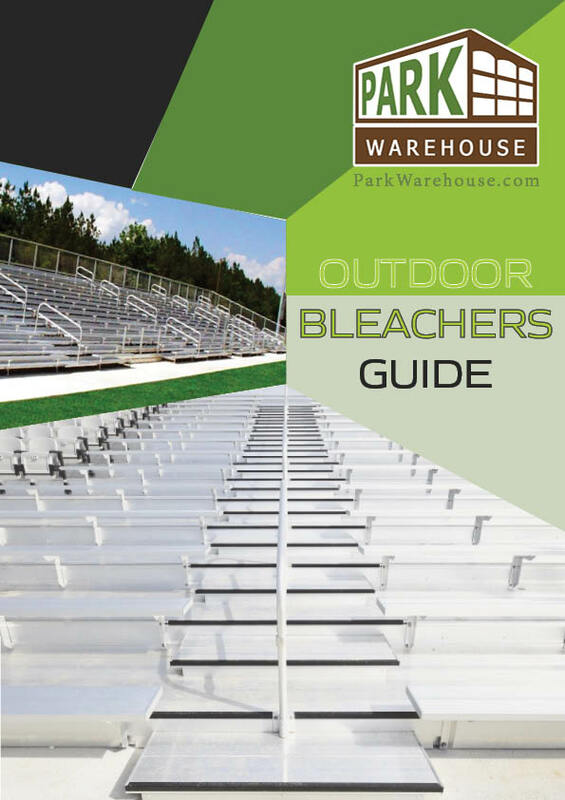 They are available in our standard lengths of 7.5ft, 9ft, 15ft, 21ft, and 27ft. If you need a custom size we can also accomodate custom lengths, please inquire with one of our product specialists. 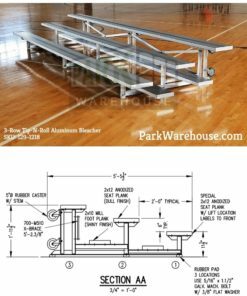 All units are manufactured in the USA and also includes non-marring swivel caster wheels & rubber pads to protect flooring (like school gyms). 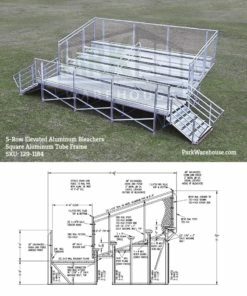 As with any bleacher, it's impossible to ship a bleacher assembled. 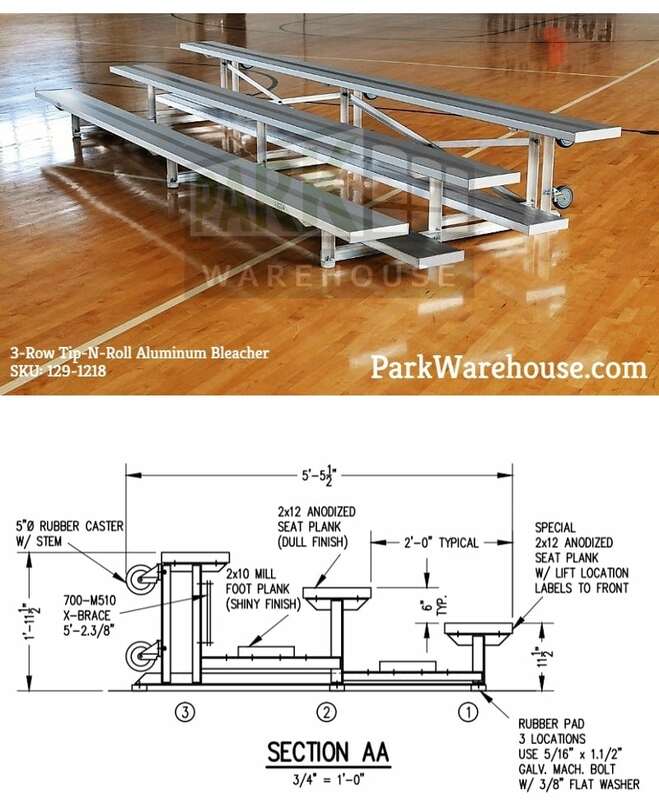 Our tip and roll aluminum bleacher will ship knockdown for easier transport. 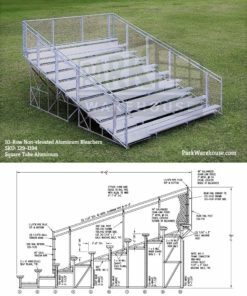 This units are made in the USA, come with easy to understand instructions, and can easily be assembled by 1 or 2 people.